Professors Philip N. Howard and Muzammil M. Hussain‘s book Democracy’s Fourth Wave? 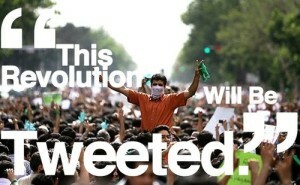 : Digital Media and the Arab Spring examines digital media’s role in the 2011 Arab Uprisings. Did digital media really “cause” the Arab Spring, or is it an important factor of the story behind what might become democracy’s fourth wave? The book provides not only rich data and the complex causal recipe, but also methodological inspirations. I translated part of the conclusion chapter (with the permission of authors and the publisher) into Chinese and it appeared in the 4th issue of Oriental History Magazine, a bimonthly, non-profit publication where I serve as an editor. Click here to read the article (if you can read Chinese).